The 2018 Hyundai Archery World Cup season saw Team Easton shooters make the trek to Samsun, Turkey, on the shores of the Black Sea. 32 competitors, the top seven in each of the four categories, plus a host nation representative from Turkey in each category, went head-to-head to decide the overall World Cup champions for 2018. Of the final 32 competitors, an astounding 29 were packing Easton arrows in their quiver. 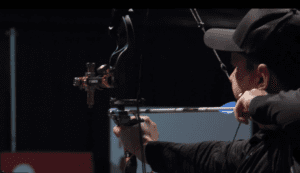 On the recurve side, 15 of the 16 competitors chose the legendary Easton X10 arrow shaft; while on the compound field, 14 of 16 were utilizing proven Easton A/C arrows. Easton congratulates all the competitors for qualifying for this prestigious event, and especially to those who were able to work their way to the top of one of the sport’s most prestigious podiums. In Men’s Recurve, Korea’s Kim Woojin picked up the gold medal over countrymen Lee Woo Seok. Kim made it back-to-back Finals victories, winning the Rome 2017 edition as well. 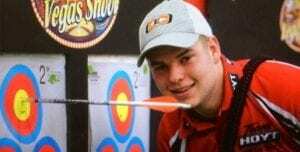 Four time World Cup champion Brady Ellison (USA) was the bronze medalist. Women’s Recurve featured another Korean gold medalist with Lee Eun Gyeong taking the victory over Turkey’s new European Champion, Yasemin Anegoz. Now a six-time World Cup Finals medalist, Deepika Kumari (India) added a bronze medal to the collection. Women’s compound saw another Easton sweep, as Sara Lopez (Colombia) won her fourth World Cup Final in a close match with Mexico’s Linda Ochoa-Anderson. So Chae Won (Korea) earned the bronze medal. Just missing out on becoming the first host nation competitor to claim gold at the World Cup Final, 2015 champion Demi Elmaagacli of Turkey finished with a silver, and India’s Abhishek Verma took bronze.